I haven’t posted an article for quite a while now. I got carried away with working on my new business, constantly figuring out ways in which I could market and integrate it into the city (as well as balance it with the many other components of my life). I understand that new ventures are always difficult in the beginning, and that a LOT of work is required to make them possible. My initial understanding of the level of effort required for a new initiative was that I would need to become “restless” and do nothing but work on it. This mindset has unfortunately backfired into unbearable stress and anxiety, which hindered my happiness and resulted in loss of appetite to the many things I love in life. I’ve ALSO realized during this month of reckless pursuit was that I had avoided catching up on the content of my favorite mentors and role models. I have two main role models in my Life, a teacher who helps me stay grounded in my faith and revives my logical understanding of it, and an entrepreneur who inspires me to love the hustle of Life and always stay true to myself. Both motivate and empower me to build a balanced life with an open heart and mind. I discovered Nouman Ali Khan on Youtube 7 years ago, and Gary Vaynerchuk on Instagram just last year. Among the many successful people that I follow and learn from, I can’t describe the level of impact these two individuals have had (and continue to have) in my Life. 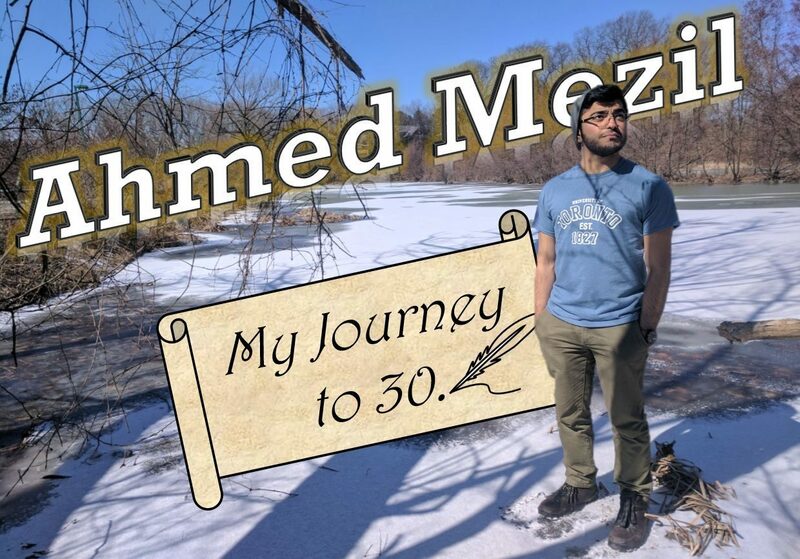 Nouman has helped me in various aspect of my faith, has taught me priceless lessons from the Quran I had never knew existed, and has helped me transition my understanding of Islam from a religion -to- a way of Life. Gary has helped me love the STRUGGLE and the pursuit of all things meaningful, has inspired me to stay true to myself and be bold, and is now helping me understand what it takes to launch a new business. Love of faith and pursuing success in Life? Together!? Those seem like two opposing things. In fact, they actually go hand-in-hand. Which brings me to the point of this article on why it’s important to seek out mentors in Life, especially when you have BIG goals. With over 108 billion people that have ever walked on this Earth, we can finally say for a fact that REGARDLESS of what you’re currently going through, another human being has gone through a similar struggle and/or has mastered the knowledge of the particular field, and can thus help you back on your feet. 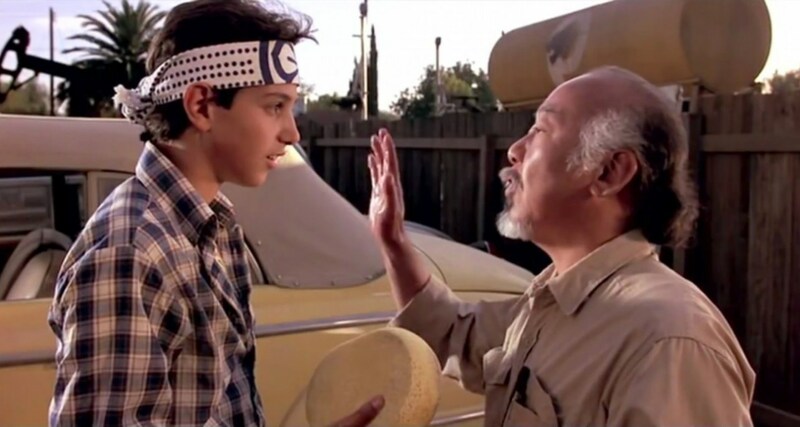 My first encounter with the concept of mentorship was when I first watched The Karate Kid (only 90s kids will understand). In this film, Daniel-Sun, the main character, encounters a karate master Mr.Miyagi who teaches him the ropes towards conquering himself and defeating his opponent. They both share an amazing journey together filled with pain, discipline, character, friendship, and growth. Due to his imperfect circumstances, Daniel would’ve never achieved what he had achieved on his own. There are several benefits to mentorship, three great ones mentioned here. When people seek out mentorship, they usually seek out people doing what they want to be doing. For example, if you’re interested in gaining more knowledge on cooking and perhaps plan open to up your own restaurant, you should probably be following Gordon Ramsay and pick up one of his online Master Class courses. Having access to information from the elites helps you stand out and gives your skill-sets a big upgrade. This is probably the main reason why we seek mentors, to gain inspiration and support. Mentors will challenge you, enlighten you, and force you to open your mind and think differently. If you’re looking to start your own company, than following an active CEO on social media or shadowing a successful entrepreneur will be a surefire way to learn the ropes, and get back on your feet if you fall. The cool thing about mentorship is that the followers (or mentees) of a particular mentor share a LOT in common. The network formed by these followers provides access to countless opportunities for people to work together and build off one another. This could manifest itself into amazing internships, paid work, new connections/friendships, and above all invaluable information. I know what you’re thinking, “what if I can’t find a physical mentor to guide me in Life?”, “what if I can’t find a wise Asian dude-master-trainer to help me beat someone up?”. Those are the same questions I had (well, sort of). The thing is, most of us don’t have the luxury of someone physically present to guide us through Life’s challenges and tribulations, or someone we can resort to when we feel lost. Counsellors and therapists aside, physical mentors are hard to find. 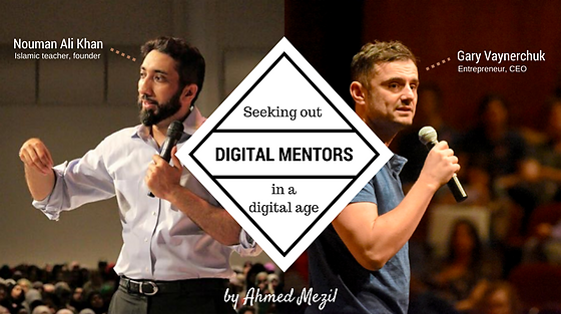 Fortunately, there’s an alternative: Digital mentorship. Thanks to modern-day social media we now have countless successful people that are sharing their knowledge on Youtube, Instagram, LinkedIn, Facebook and other social media channels. The question is, who do YOU follow on social media? While most of us don’t have access to a physical mentor, the average user spends approximately 3 hours everyday on their phone (if not more), and so why not use that time for self-development and enlightenment, and follow people that can inspire you to be a become a better version of, “you”? Whatever your pursuit is in Life, align yourself with people that have a similar pursuit. People you can learn from and who can help you grow. This also means subscribing to social media channels of those that are successful in various fields, be it entrepreneurship, religion, bodybuilding, education, “the art of baking perfect cupcakes”, or whatever it is that drives you! People can go and complain about how bad the World currently is, but I personally believe that there’s no better opportunity to be a phenomenal human being than right now. Follow great leaders on social media, read their books, or just plain send them an email, call them, or arrange for a quick meet up! There’s a HUGE wealth of amazing people out there that can help you with your challenges, all you have to do is look, even better, “just ASK!”. Often times we think we can play this game of Life all on our own, listen to your gut and follow your instinct, of course, that’s what makes you a unique human being. But we can only go so far until we actually –really- need help (I’ve experienced it), so don’t ever hesitate to ask for guidance if you need it. Social media is nothing but a tool, and if you’re an avid user, how you use this tool will either make or brake your pursuit of greatness. Use it wisely, use it humbly, and get creative into finding the right people with the right content that can help you grow. Based on your own individualistic goals in Life, mix-n-match the people that do it just right for you. Nouman and Gary are doing it for me.